Almost everyone has seen the all-too-familiar wall of pictures in the dorm -- you know, the head-to-toe photo montage of family and friends. Well, dorm decorators, it’s time to switch up your design. College is a time for dreaming, planning and achieving. With all the distractions of dorm life, stay on track by decorating your room with an inspiration wall. 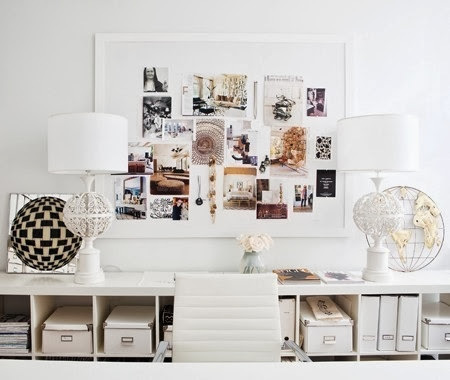 Although there are many ways you can create an inspiration wall, one of the most unique ways is through picture frames. Stop by your local dollar or crafting store and pick up a variety of picture frames in different shapes and colors. As far as what goes in the frame, that depends on you. Fill the frames with your hopes and dreams, use pictures of places you dream of going, people you aspire to be like, quotes that motivate you and lists of future goals. If you lack the time or effort to go out and get picture frames, try covering a cork board with inspiration. This is a cheaper and more condensed inspiration wall, which is great for smaller dorm rooms. A great way to do this is with magazine pages and newspaper cutouts. However you decide to do your inspiration board, put a lot of thought into it. The more inspired you are, the harder you work. And the harder you work, the more goals you will accomplish. Get inspired, and dream big.